Early in 1932, one Edward Hillman was running a successful air taxi service alongside his bus company. Amy Mollison (nee’ Johnson) was one of his pilots. He was making a profit, rare in the nascent air transport business of the day, using three seater, single engine, de Havilland Fox Moths. He wanted to expand his business so approached Geoffrey de Havilland who rapidly knocked out a workmanlike twin engine, six or eight seater, design he called the Dragon. 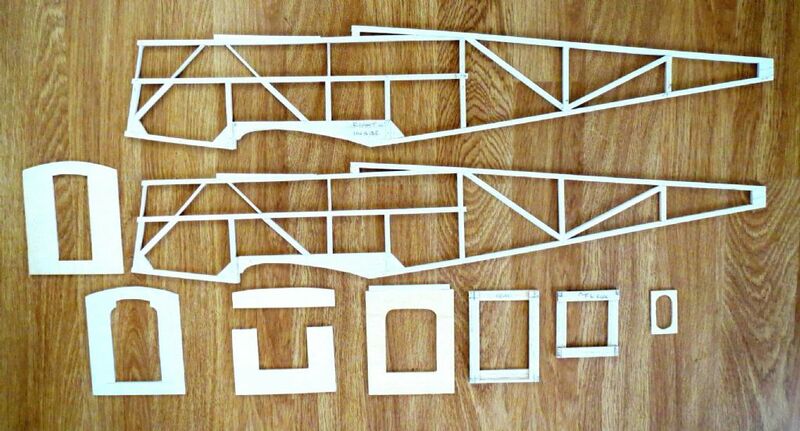 A parts bin special, the Dragon had a new plywood box fuselage, and centre section for two of the usual Gypsy Major engines, and outer wings and tail feathers from the company’s Gipsy Moth models. So why design a model DH84? and why now? 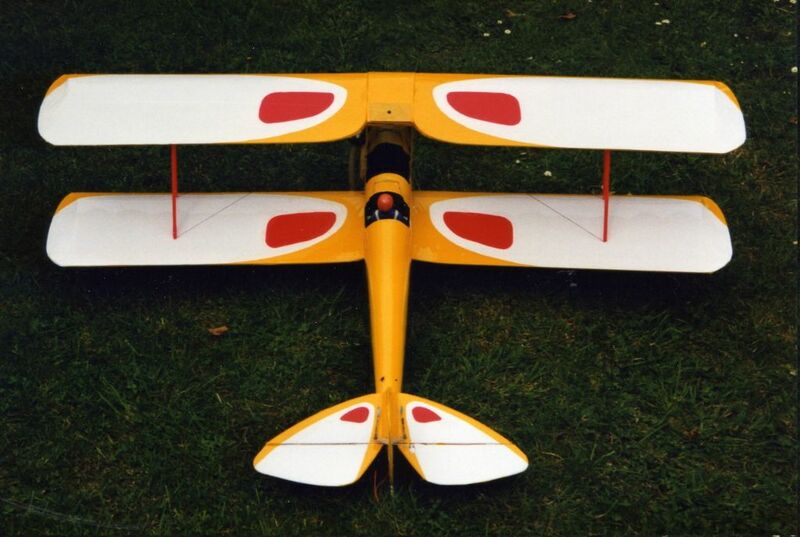 In 2003 I designed a DH60 Moth for an open rocker OS60 four stroke. I had enjoyed reverse engineering Geoffrey de Havilland’s simple and elegant construction, and the resultant model flew very well. Part of the process was the purchase of a large format book of super de Havilland aircraft photographs. Recently, a club mate gave me a part completed model of a Dragon Rapide. He was moving away, and giving up model aircraft for a while. His model had been built from an old plan which was intended for ic engines. To my mind it was too heavy with lots of spruce and plywood everywhere, and not really suitable to join my all electric fleet. There was tons of work still to do so I was happy to pass it on to another club mate who promised to complete it. 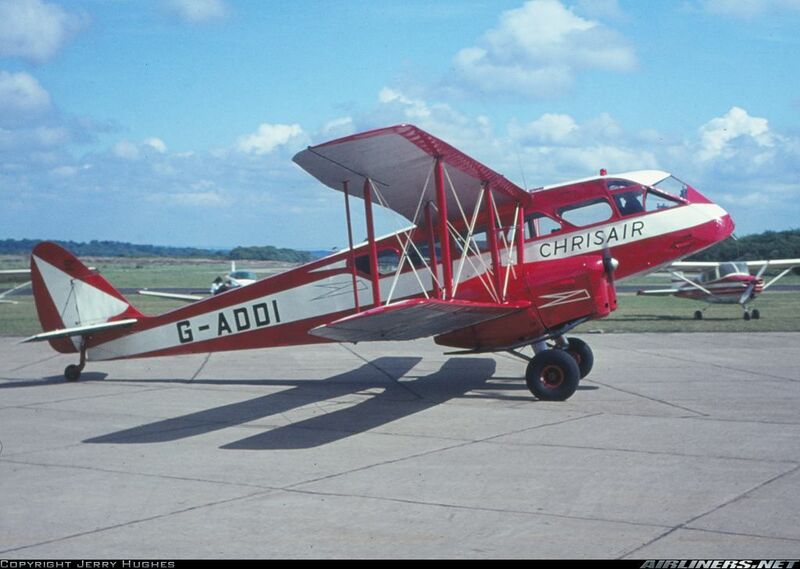 However, the ”bipe” bug had bitten, and a super photo of a DH84, once flown by an airline called “Chrisair” settled things. An electric DH84 would be fun to do and the parallel chord wings less prone to the tip stalling tendencies of the sharply tapered variety on the DH89. A word of encouragement from our editor, a 15 page article on the DH84 in Aeroplane magazine, a big sheet of white paper and off I went. My Dragon is not super scale as I have taken some minor liberties to simplify construction and incorporate the RC components, but she looks the part in the air. Excellent! The Dragon, Dragon Rapide, and Dolphin are pretty much the pinnacle of aesthetics in passenger carrying in my humble opinion. Got in a bit of a muddle with the pics and text on the last post. 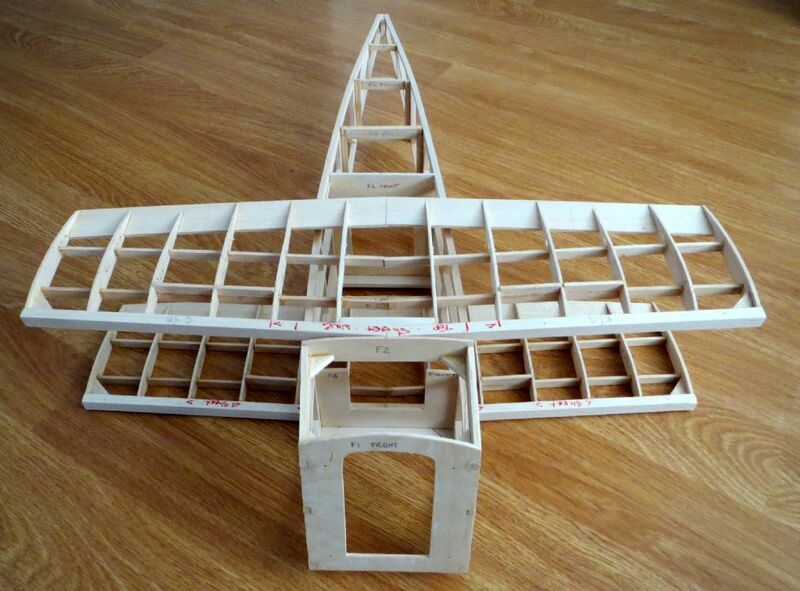 Here's a Fox Moth, and the progress so far, which is the wing components kitted ready for the build. My intro on my last post was cut and paste from the build article I have started for the magazine, so the flying performance is yet to come! The plan for the wings and tail feathers is done, and I'm finalising the fuselage design to resolve wings mountings and battery insertion details. My DH60 Moth had the wings permanently rigged in pairs, and they plugged into the fuselage on carbon rod joiners. I plan to do the same for the Dragon with semi-permanent mounting of the centre sections with engines and U/C etc. I intend to make the nose removable to access the battery bay. Watching this with interest Chris. I'm a long time fan of the Dragon, although all I have to show for it is a half finished fuselage of an electric version published in another mag a few years ago. You may just kick start my enthusiasm. I also have that excellent issue of Aeroplane. What wingspan is your version? The span is going to be 60", length 40". The latter is the maximum size of a single component that can be drawn on my steam driven, manually operated, drawing board. In consequence my larger models mostly seem to come out around that size. They have to fit in the boot/back seat of my SEAT estate car too. Recently I have gone for smaller models, hence my 36" span "Mignon" design to be in the February RCM&E. 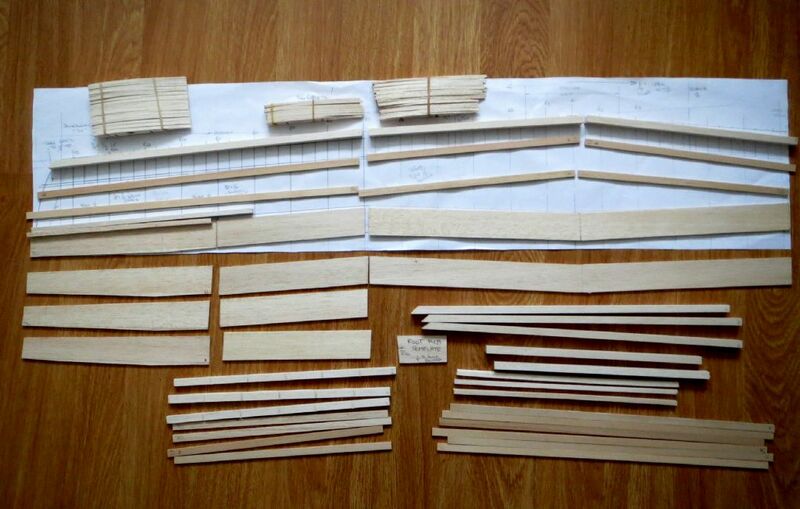 This afternoon I built the first centre section of the Dragon wing. First step on what I imagine will be a three month job. Chris what size is the Fox Moth please? 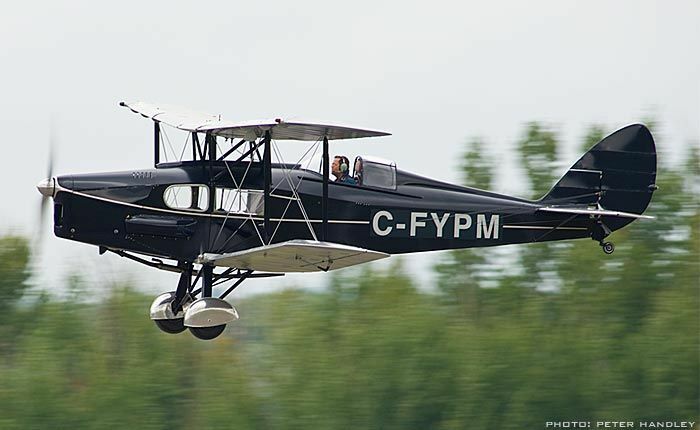 Hi Manish, the real Fox Moth spanned 30' 10" , (I never built one) compared with 30' for a Gipsy Moth and 47' 4" for the Dragon. 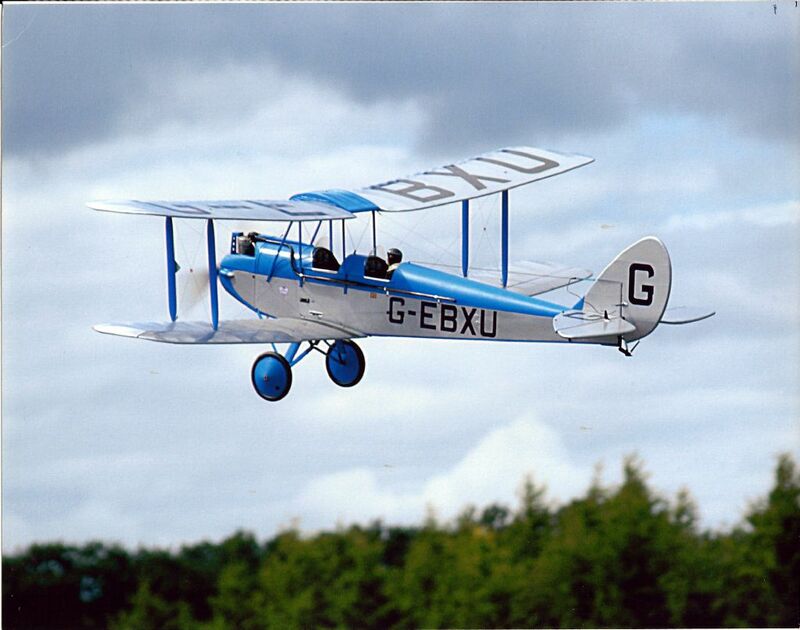 My original DH60 Gipsy Moth was 60" span. I'm completely with everyone who worships at the shrine of de Havilland . Did they ever create an unattractive aeroplane? Moths, Mosquito, Comet... I have just finished (well, a couple of months back) a Dumas Dragon Rapide, surely the prettiest, most elegant aeroplane ever ( except a Mk1X Spitfire, of course). Bye the bye, inspite of the sharply tapered wings it has impeccable manners near the stall, probably down to the cleverly incorporated washout. I'm sitting next to cymaz (that was a near one, the spell checker tried to turn you into a cymbal) with tea and gingernuts at the ready. P.S. Off topic a bit, but do you think if we shouted loud enough and long enough at Richard (Warbird Replicas) he would come up with a Mosquito to wup ME110 that he had the audacity to produce??? Thanks Chris. Looks like I misread your post and thought you were also working on a Fox Moth, hence my question. I had seen the article somewhere, but now I have it on file together with the excellent photos of a full size example. The DH 84 featured lives near me at Rendcombe airfield and, at the invitation of pilot Henry Labouchere, I have visited it for a photo shoot of my own; handy for the little close up details. I've corresponded with Henry quite a lot and, as in the article, he confirms that the Dragon is a tricky beast to fly, and not very stable. He confirms the view of an original Flight magazine tester in 1932 that Geoffrey de Havilland somehow managed to make a lot of aileron area to do very little to control the aircraft. 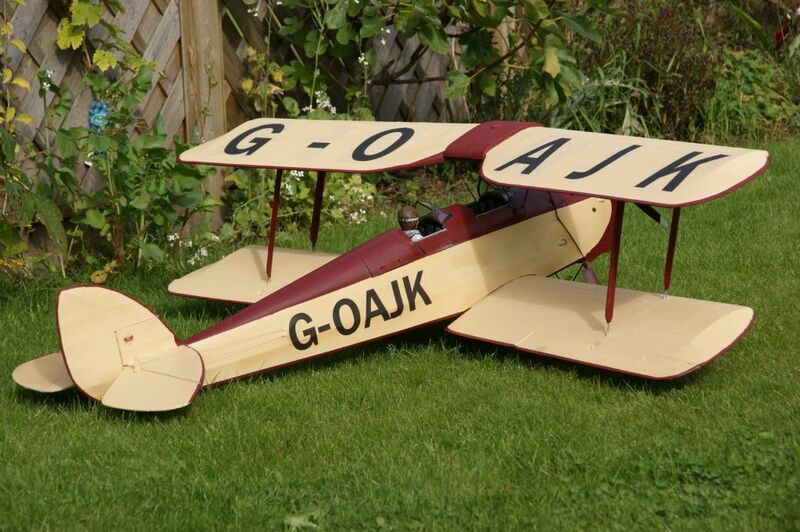 The original aircraft had the skinny airfoil sections of the period and on my DH 60 Moth, and now for the Dragon, I've used the old standby Clark Y to get the thickness needed to get the aileron servos into the wings .My Moth flew beautifully and turned well with ailerons on the lower wing only. I didn't build in any washout, and never had a problem with tip stalls. I'm going to go the same route with the Dragon wings, and I hope I will get similar characteristics. The Dragon outer wings are the same as a Moth, so hopefully the model flying characteristics I got before will read across. Looking great Chris. You've had a busy week. More progress with the DH84 with most of a fuselage kit prepared. One or two minor glitches appeared with the creation of the formers from the sketch plan, but these have been easily rectified with slight alterations to the dimensions and cut outs for the longerons. The diagonals in the fuselage uprights are down to Geoffrey de Havilland who made diagonal frames for the passenger cabin windows. At least the MK 2 DH84 that I am modelling has some space between the windows which will make installation of the glazing not too difficult. The nose is going to be completely removable for battery insertion, but the windscreen frames are going to be tricky as they are very spindly on the real aircraft. How close to scale a near scale model should be is always a bit of a problem. For example, do I make 46 riblets for the wings? They won't be exactly scale but will add to the overall impression of the original aircraft. My DH60 Moth was true scale, but the detail didn't show in the air. The next task is sorting out the engine nacelle design. There's lots of room in them for the motors and ESC's so it should be straightforward. The undercarriage will have piano wire legs for springing with dummy oleos under the engines. Good progress on a lovely project. I do love the De Havilland designs, right through to beauties like the Sea Vixen and 125. 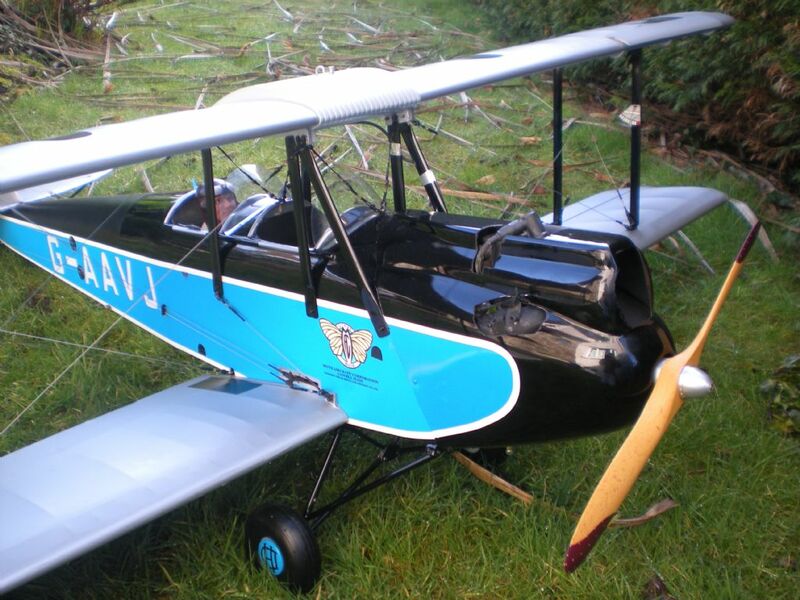 But the exciting thing about RC modelling is that we can resurrect planes which never quite made it, and the Dragon has a beautiful relative called the DH92 Dolphin, which never reached production, as it was a bit heavy and underpowered, which we can easily overcome. The prospect of being able to put the Dolphin in the air is enticing (though way beyond my abilities). The Dragon advances. I knew there was a biplane in there somewhere. The fuselage has proved a fairly straightforward build. When it came to setting out the longerons I replaced the originally planned 3/16" sq with 1/4" sq as the smaller size looked a bit too spindly. I want the model to be light, but weight reduction can be taken too far. 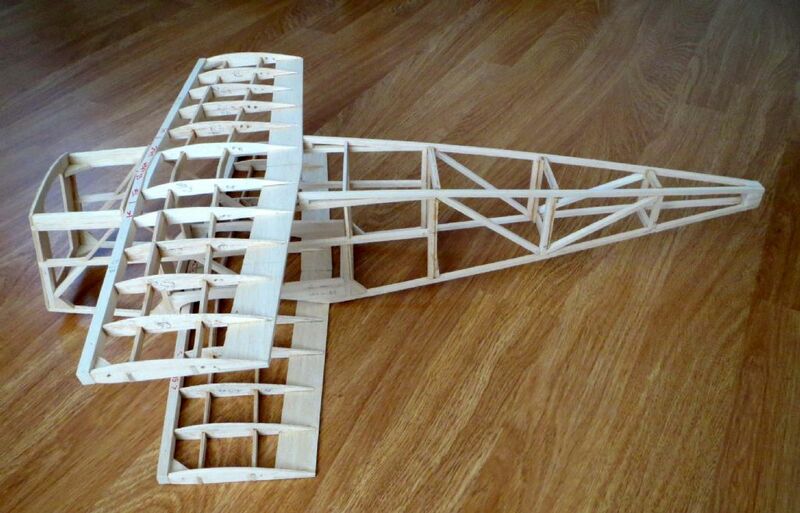 The fuselage will be sheeted with 1/16" balsa which will make the fuselage a rigid box like the plywood covered full size aircraft. One minor glitch; former 5 came out 3/8" too narrow for its position on the fuselage. Either I made an error in measurement from my original sketch plan, or the 1/4" sq longerons are springier than forecast. All the other formers fit OK and it was a simple job to cut F5 in half and widen it as it was made from 1/2"x1/8" strip. As the build develops, I add structure to the sketch design where I did not plan it at the outset. The upper wing mount looked a bit iffy so I have strengthened the mount for the former that will carry the flight loads. One small surprise is how boxy the fuselage has turned out. It is scale, and of course the real aircraft was just a larger DH Moth with the fuselage expanded to take 6 or 8 passengers sitting on either side of a central aisle. A BN2 Islander that I designed in 2002 gets over this problem by having a separate door for each row of seats. My Islander is modelled on a Falkland Islands Government Air Service (FIGAS) aircraft that I flew in while serving on the islands with the RAF in 1982. Why do the photographs insert into the text at random, and not in the order that I pick them out of my DH 84 Album? Also the wide angle lens makes the fuselage look banana bent, which it isn't.